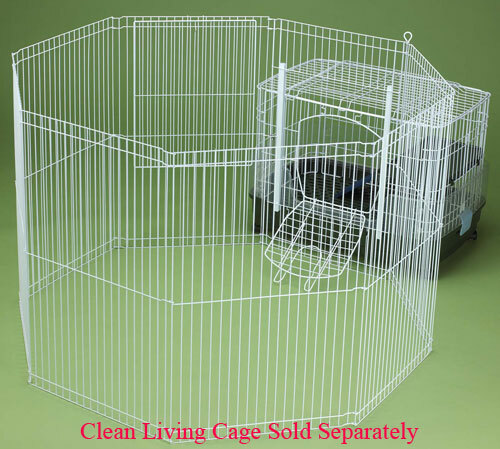 Home / Small Animal Supplies Equipment / Cages Small Animal / Ferret - Chinchilla Cages / Living Room Series Rabbit Home by Ware Mfg. Living Room Series Rabbit Home by Ware Mfg. Give your bunny room to romp, comes complete with second level shelf, ramp, and food dish. 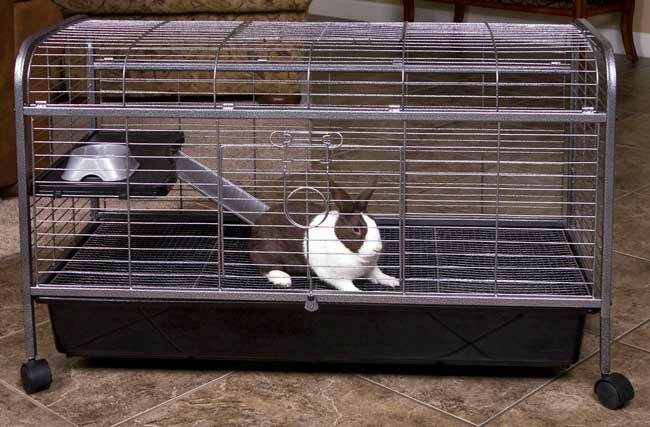 The stand keeps your Rabbit,s home off the ground, wheeled stand to make moving and playtime easier and more convenient. 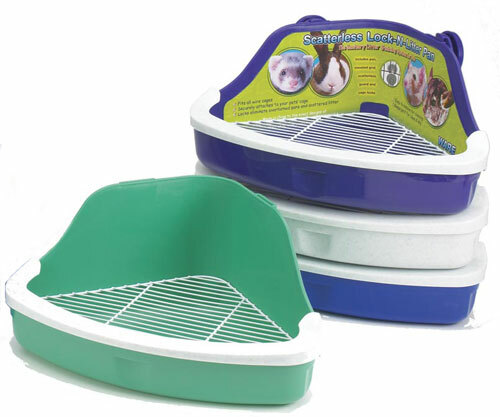 Easy clean-up, durable powder coated metal parts and deep slide out plastic pan clean with mild soap and water. 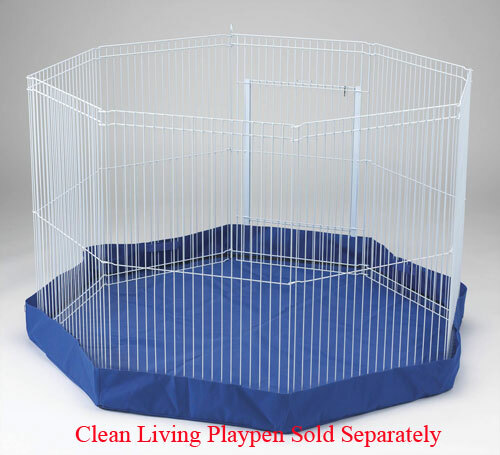 * Provides a roomy home for your Bunny. Floor Grate Wire Size: 1/2"x 1/2"
Assembly Instructions for Ware Mfg. Living Room Series Rabbit Home Model 01930 Click Here.